The Toronto Blue Jays front office held a press conference Wednesday afternoon announcing that manager John Gibbons will part ways with the organization after this season. Gibbons, 56, became manager of the Blue Jays in 2004 and left in 2008 in what was a tough period for the team during those years. He was known for getting into controversial situations with his own players, which is what ultimately lead him to getting fired in 2008. Gibbons had managed 610 games during his first stint in Toronto, recording 305 wins and 305 losses, equalling a .500 win percentage. 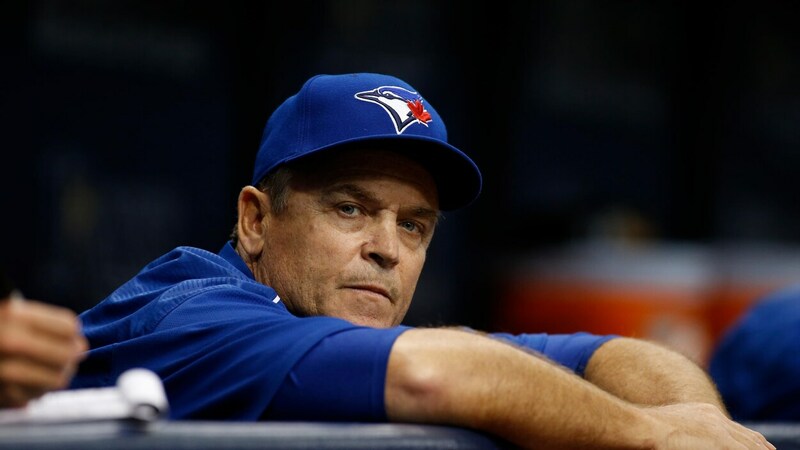 It was announced in November 2012 that Gibbons was re-hired as Blue Jays manager. Gibbons was then named to the 2013 American League All-Star coaching staff. Gibbons picked up his 500th managerial win on June 22, 2015 against the Tampa Bay Rays. In September 2015, the Blue Jays clinched their first playoff birth since 1993, the year when they won their second World Series which was apart of a back-to-back. Gibbons led them to another playoff appearance in 2016. John Gibbons received a standing ovation on Wednesday’s game against the Houston Astros which they won, coincidentally being the final home game of the Blue Jays season. Featured image from the Canadian Press.